This Yeah Racing Crawler Steel Chain is 96cm long (or about 37.8 inches) and is great for many scale crawler applications. 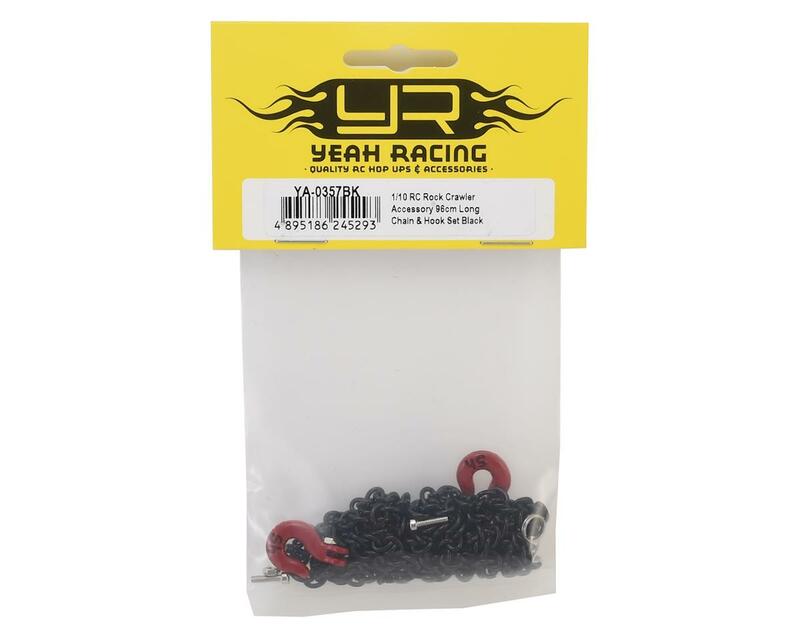 The chain comes in black color, with two included heavy duty red hooks to strap down cargo in your roof rack, strap down the spare tire or for pulling out your buddy during rescue missions. This chain is also available in silver color (YEA-YA-0357).